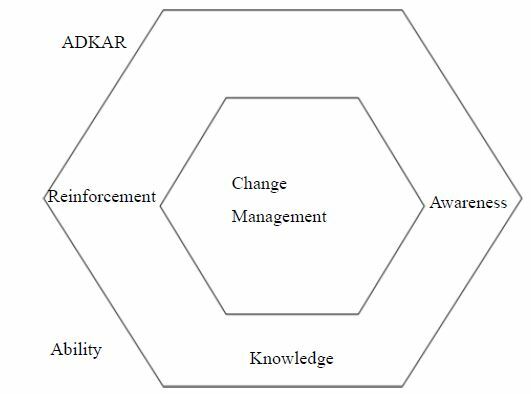 Different academicians and organizations have developed various models for change management. Here, we will discuss two change management models. It is a simple change management model to help to all those who are involved in the management of change. It is used as a resistance management tool and an assessment device which help the change management team to effectively organize their work. • Why is communication important during change? • Why do people resist change? • Why do people become perturbed and distracted during the implementation of change? • How do you identify the barriers to change? • How can one manage resistance to change? The Centre of Reengineering and Enabling Technology (CRET) has emphasizes three focuses while dealing with change. Those are process, people, and technology. 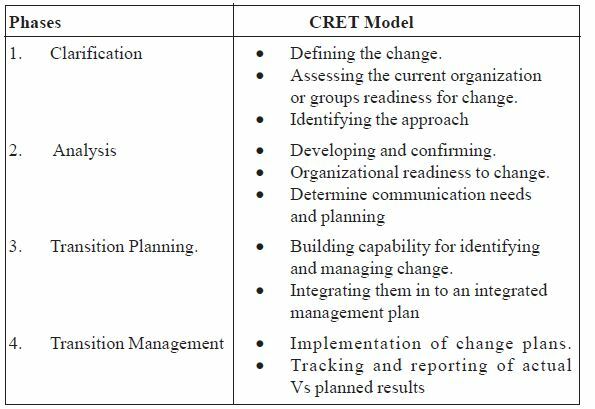 The CRET has developed a “blended process” by integrating Business Process Reengineering (BPR) methods, and Change Management (CM) methods.